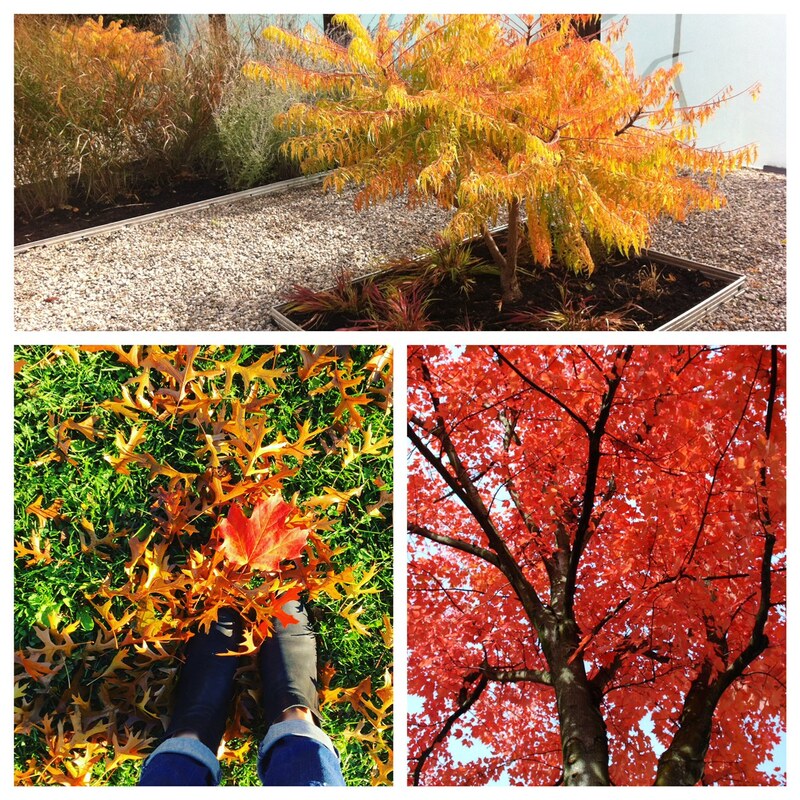 Fall is in full swing, and although spring seems to get all the buzz in the gardening world, my favorite time is fall. The garden comes alive with brilliant colors in full effect. So if your garden is lacking in the fall colors here are some excellent choices of trees, shrubs and perennials to add this fall or next spring to ensure you can enjoy for years to come. Dogwood (Cornus kousa). This small ornamental tree gets all the glory with spring flowers, but also has great purple and red fall tones. Gingko biloba – golden yellow, Amur Maple (Acer ginnala), Sumac (Rhus typhina), Viburnum (Viburnum trilobum) – ruby red fruits, Serviceberry (Amelanchier canadensis) – spring flower, summer fruits, orange and red fall foliage, Sweet Gum (Liquidambar styraciflua) – orange, red, burgundy. Burning Bush (Eyonymus alatus), Oakleaf Hydrangea (Hydrange quericifolia), Russian sage (Pervoskia), Coreopsis (Coreopsis sp. ), Sedum (Sedum sp.) All of these are just the beginning of options available out there. My advice would be to go to your local garden nursery in the fall and take a look at the plants to get a true idea of what stands out the most in the fall. Enjoy the cool crisp mornings, crunching of leaves under your feet, and beauty of colors in this fall season.